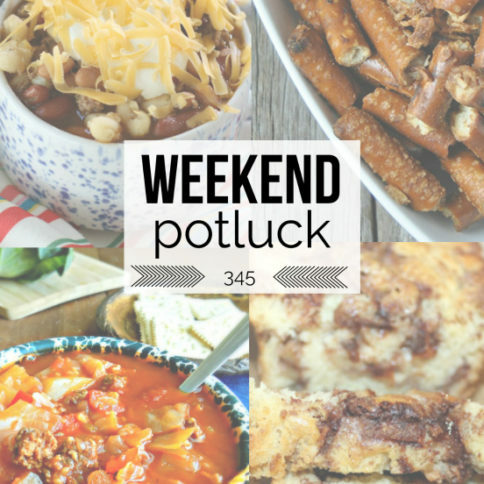 Two of my favorite things in the whole world are holidays and desserts. 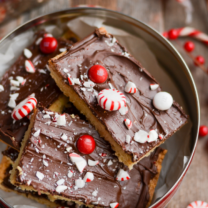 So, needless to say, I really love making special holiday-themed desserts. From Creamy Peppermint Dip for Christmas to Jello Firecrackers for the Fourth of July, I’ve sweetened up the entire year. But the holiday I have the most fun with just might be Halloween. 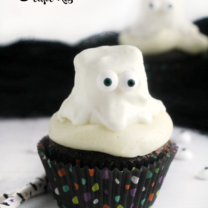 The desserts I make for Halloween aren’t just festive, they’re spooky, dressed up as ghosts and monsters with little googly eyes. The only problem is, I was starting to run out of ideas. 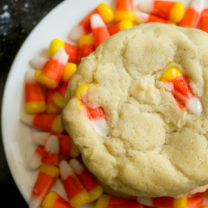 I’d already spooked up cupcakes, doughnuts, and even hot cocoa, and I was having trouble thinking of new things to try. 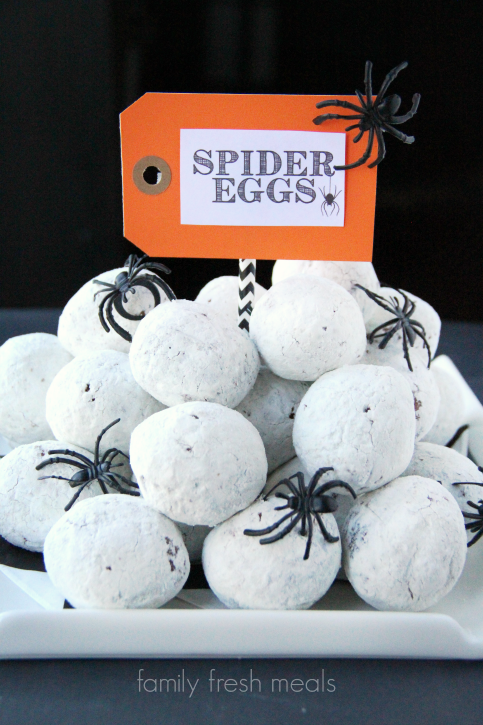 And then it hit me: Duh, I’d never done a Halloween Oreo dessert! Once I had the idea, actually making them was incredibly simple. I just spattered a bunch of regular Oreos with red icing from a tube to look like bloodstains, then sprinkled them with my favorite candy eyes. 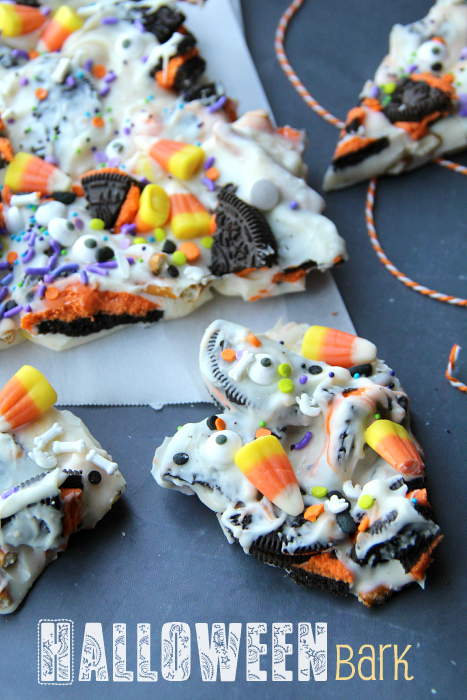 And bam, spooky cookies! 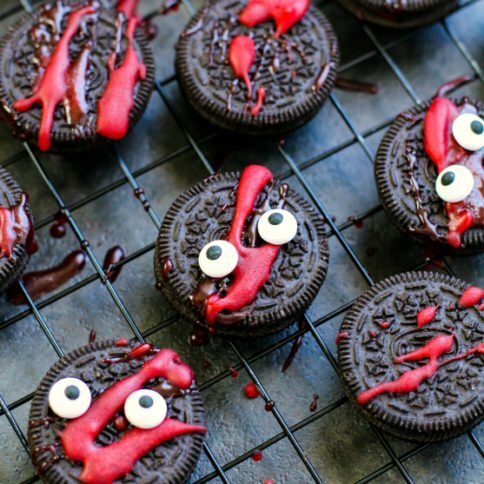 If you’re looking for a Halloween-themed dessert you can make in minutes, these Spooky Halloween Oreos are just about perfect. 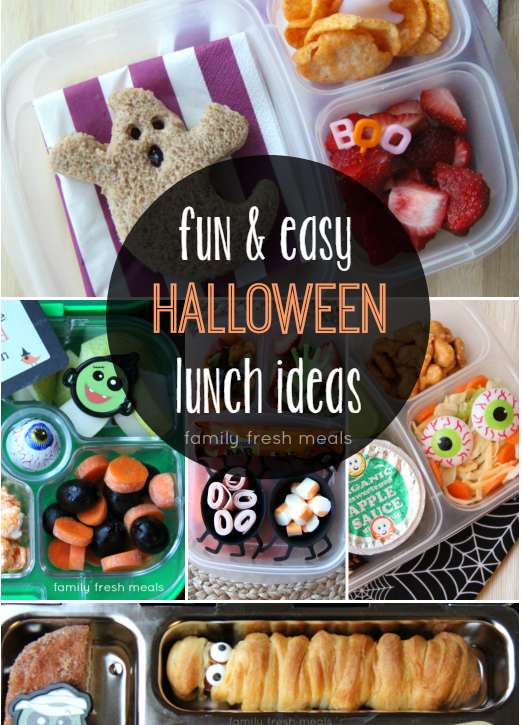 They have the three key features of Halloween – dressing up, blood and gore, and lots of sugar – all in one. What’s not to love? 1. 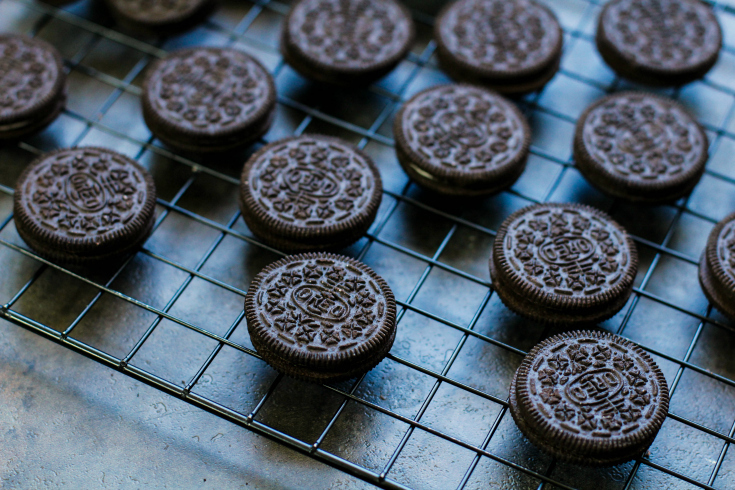 Lay Oreos out on a cookie drying sheet. 2. 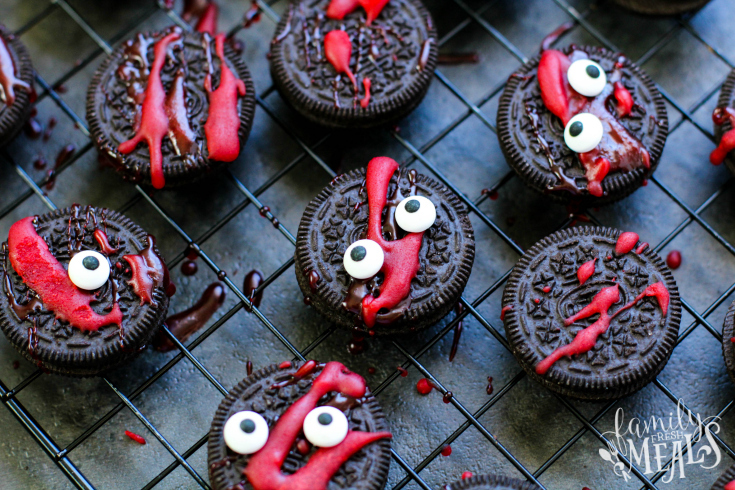 Splatter, drop and drip the solid and gel decorating gel to create creepy blood splatter marks on each cookie. 3. Select a couple cookies to have 1 or 2 eyes! EEK! Let frosting dry before serving. 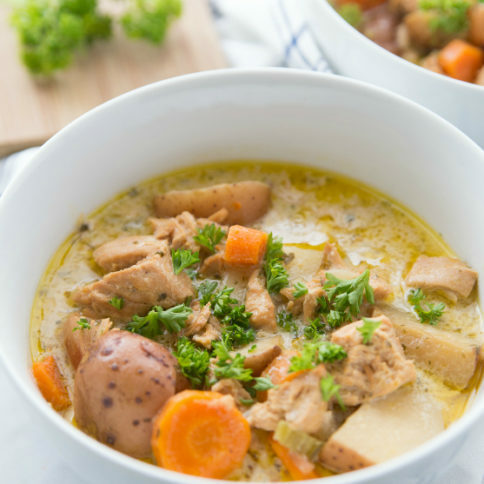 Here are some other recipe you will LOVE! 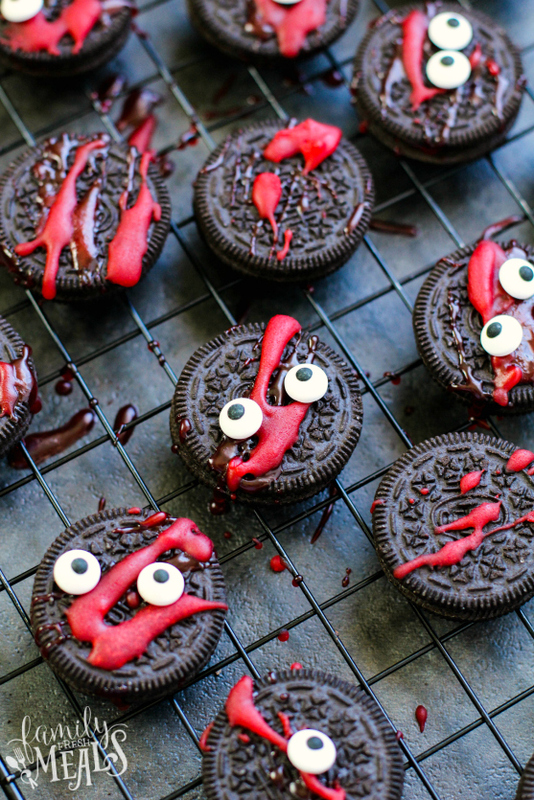 If you’re looking for a Halloween-themed dessert you can make in minutes, these Spooky Halloween Oreos are just about perfect. Lay Oreos out on a cookie drying sheet. 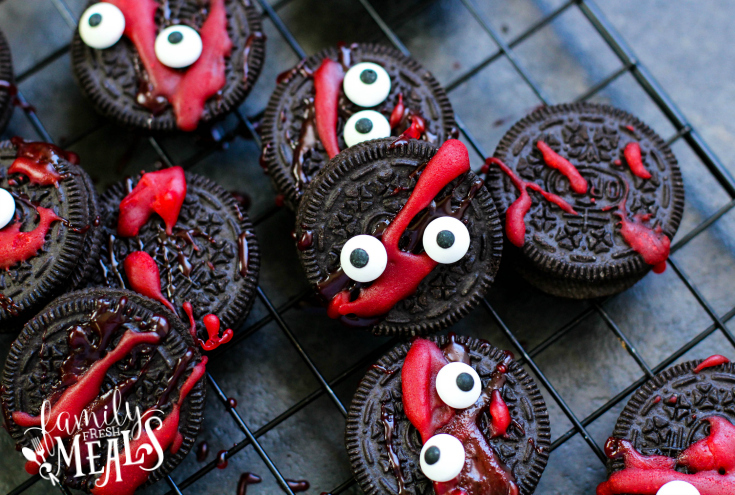 Splatter, drop and drip the solid and gel decorating gel to create creepy blood splatter marks on each cookie. 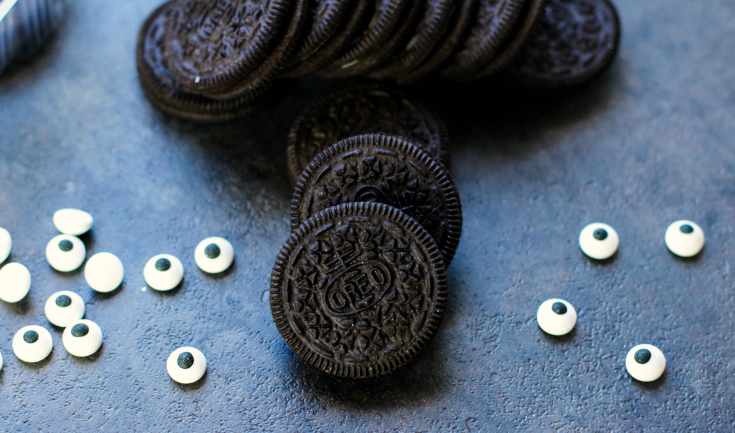 Select a couple cookies to have 1 or 2 eyes! EEK! Let frosting dry before serving.